Besides having one of the greatest logos in the hockey world, Jokerit can claim another bit of fame: Becoming the first team outside of the former eastern bloc to join the Kontinental Hockey League. Jokerit announced it’s joining the KHL for 2014-15, a move widely reported last summer and officially announced on Wednesday. Based in Helsinki, Jokerit has played in Finland’s SM-liiga since 1989, winning several championships and being a destination for former NHL talent. (Among the players on their current roster: Jarkko Ruutu and Ossi Väänänen.) It’s the team where Teemu Selanne got his start. Jokerit had announced their intention to move to Russia’s KHL earlier in the year, but they had to wait until this week to finally secure approval from the Finnish hockey league. Russian investors will take a 49 percent stake in the club, and they already own Jokerit’s home, Hartwall Areena. 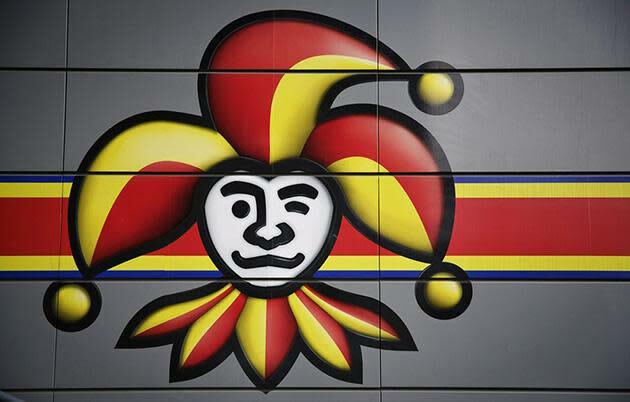 Long-time Jokerit owner Harry Harkimo will retain a controlling 51 percent stake in the club. His new partner, Arena Events chair Roman Rotenberg said he believes the unprecedented move over the eastern border will be a success. There was some talk that SM-Liiga needed to sign off on any franchise move to the KHL, and there’s been no confirmation to that end. Considering the trouble the KHL has had in expanding to other parts of Europe – what happened to that team in Italy anyway – this is a significant step forward. Granted, it took Russian billionaire Boris Rotenberg buying the team and arena to get the deal done, but hey, Russia has a few billionaires, you know? That’ll end up being the key for teams in Finland or Sweden coming to the KHL: financial backing. They don’t have the funding to compete with teams that can, for example, buy Ilya Kovalchuk from the NHL. It’ll take the Rotenberg, or more like him, to acquire the teams and the buildings in this expansion. Wonder what all of this means for the NHL’s European aspirations?